I’ve been very excited about this book for a long time. I pre-ordered it several months ago, and would have been able to review it earlier had I not insisted on treating myself to a signed first edition (why, Goldsboro, why??). Anyway. Mark Lawrence’s Broken Empire trilogy was one of my best discoveries of 2013, largely due to its dark tone and brilliantly captivating first person narrative, and I expected big things of Prince of Fools. It delivered all of them, bigger and better than even I’d been looking forward to. 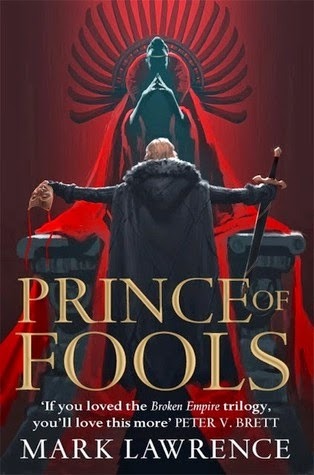 Prince of Fools is the first book of Lawrence’s new series ,The Red Queen’s War, and it follows the converging paths of two very different characters: Snorri ver Snagason, a Norse raider from Viking lands; and Jalan Kendeth, a bone idle prince from Red March.